The Epiphone Limited Edition 50th Anniversary "1961" SG Special Outfit faithfully turns back the clock to gives you an affordable iconic instrument that sounds and plays like you’ve just stepped back in time. The original SG not only rivaled guitars of its own era for sonic variety, but also proved to be a sign of things to come. Hard rock, metal, and scores of rockers embraced the original SG and today you’ll find an SG in every great guitar player's arsenal. The Epiphone Limited Edition 50th Anniversary "1961" SG Special Outfit gives you classic styling and vintage sound with our famous Epiphone production quality that today’s guitar collectors seldom find in vintage instruments. The SG Special Outfit features a padded 1961 SG Model 50th Anniversary gig bag. And as with every Epiphone, The 1961 SG Special also comes with the peace of mind you get from a Limited Lifetime Warranty backed by Gibson Musical Instruments’ famous 24/7/365 day Customer Service. Make your own history with the Epiphone Limited Edition 50th Anniversary “1961” SG Special Outfit today! When the SG or “Solid Guitar” was introduced in 1961 as a replacement for the Les Paul, it was called the “fretless wonder” for its low frets and fast action. 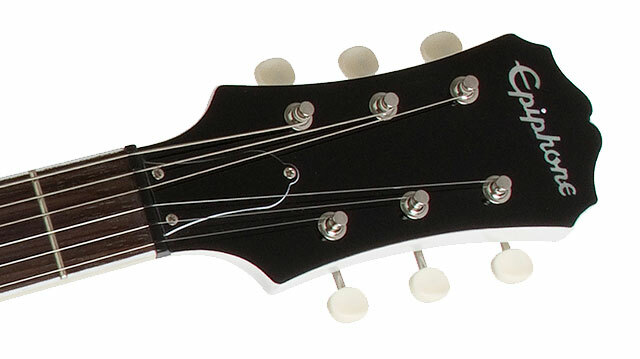 The twin horn cutaway design was like nothing on the market and its light but balanced weight and P-90 pickups made it the perfect guitar for stage and studio. Not only was it lighter than a Les Paul but the SG’s P-90 pickups had more tone and clarity than other single coil pickups yet still had all the bite and overtones of a humbucker. Some of the SG’s biggest fans include The Who’s Pete Townshend, George Harrison, Eric Clapton, Tony Iommi, Paul Weller, AC/DC’s Angus Young, Frank Zappa, and Derek Trucks of the Allman Brothers Band. Like the original, the Epiphone Limited Edition 50th Anniversary “1961” SG Special Outfit features a mahogany body and mahogany neck with a SlimTaper™ 1960’s D-Profile. And like vintage SGs, the Epiphone “1961” SG Special Outfit has a hand-set 24.75” scale neck with a rosewood 12" radius fingerboard, a 1.68” nut width for tuning stability during bends, Wilkinson™ Vintage 14:1 Ivory Button machine heads, and a classic '60s era Epiphone logo on the Sloped Dovewing headstock. No detail of the Epiphone “1961” SG Special Outfit has been missed. The Alnico P-90R Soapbar neck pickup and the Alnico P-90T Soapbar bridge pickup are perfect for players who want elements of both single and double coil sounds in one pickup. P-90s were preferred by early electric jazz guitarists for their horn-like tone on archtop guitars. 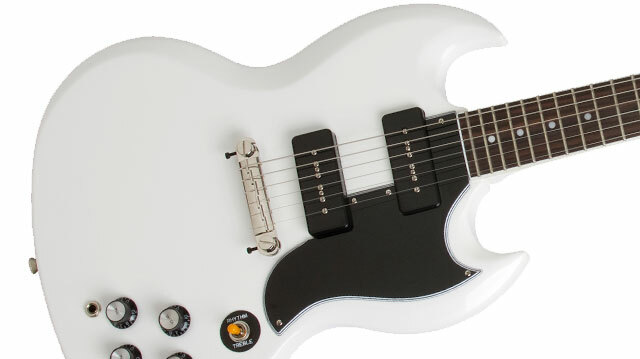 But P-90s really shine in solidbody guitars and the mix of mahogany and Alnico P-90s gives the Epiphone “1961” SG Special Outfit a unique sound that is both modern and classic. The Epiphone “1961” SG Special Outfit is available in Alpine White, Cherry, ebony, and classic 50s style TV Yellow. Epiphone is famous for having rock solid hardware that can last the life of your guitar. The vintage style black controls with metal inserts include Neck Volume and Tone and Bridge Volume and Tone, allowing for an infinite variety of tone combinations. 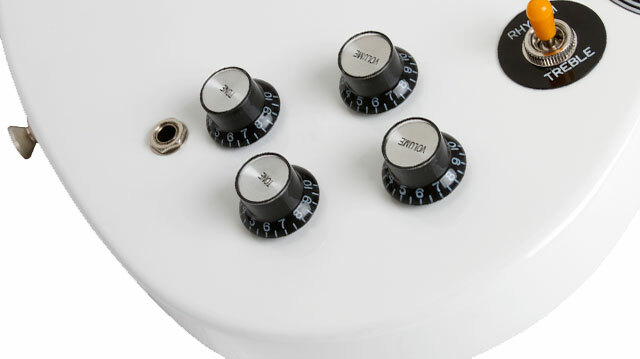 The all-metal 3-way toggle switch is designed by Epiphone, and the Wrap-Around Lightning Bar™ Combination StopBar Adjustable bridge provides a lifetime of tuning and intonation stability.